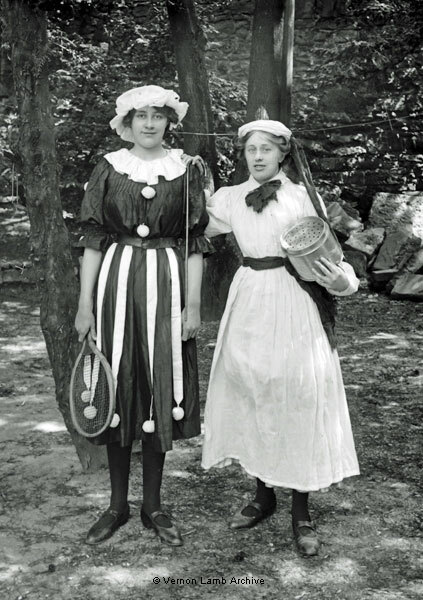 Description/Historical Information: Two young women in fancy dress, probably for a carnival. One wearing a mob cap and holding tennis racquet whereas the other girl seems to be holding some kind of strainer. They and there friends are in several photos. See VLA5247 and in a different section VLA5177 and VLA5178].